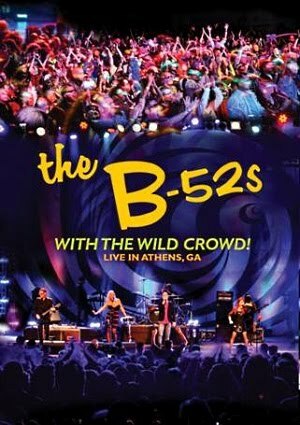 Regular readers might remember that we spoke with Fred Schneider back in October about the release of The B-52s' live CD, With The Wild Crowd! Live In Athens, GA. Next week, you'll be able to watch that same 34th anniversary concert when Eagle Rock Entertainment brings the show to DVD and Blu-ray. "Love In The Year 3000"
Psyched? If you'd like a chance to win a Blu-ray copy of With The Wild Crowd! Live In Athens, GA, drop us a line. We'll draw a winner on Wednesday, March 21st at 10:54 PM ET. Good luck!